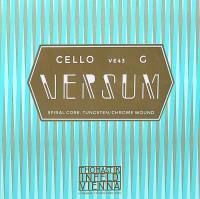 Einzelsaite für Cello G-3 4/4, Medium, Spiral Core, Tungsten/Chrom Versum strings impress with a beautiful tonal balance: a sweet top and a warm, velvety and round bottom. With their focused sound and precise and powerful intonation they give your instrument a unique personality and offer you great versatility in expression. 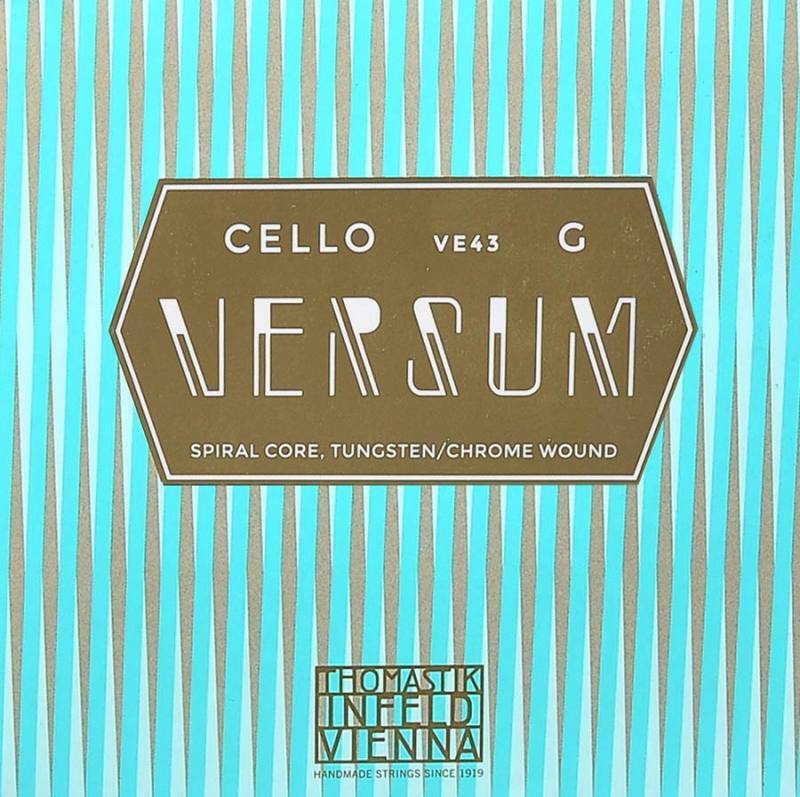 A vast spectrum of colors and an ideal balance across all strings provide support for the cello‘s lower voice while accentuating its soloistic opportunities. The strings boast stability under changing conditions and stand the test of time. They respond instantly, convince with their great dynamic range and are ideal for principal and orchestra players as well as quartets.